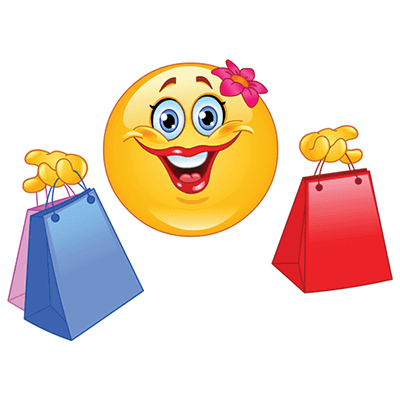 Here’s the perfect emoticon for all you shopaholics! 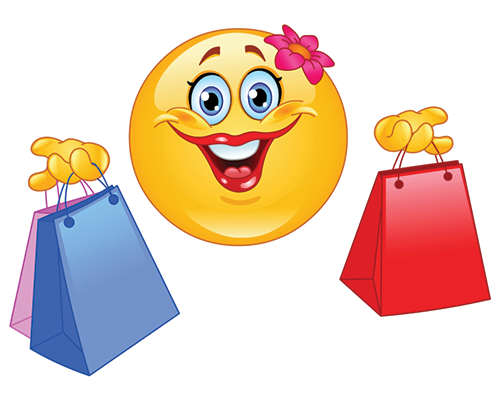 Drop everything - it’s time to shop and this smiley wants to go along too! Send her in your messages to tell family and friends about your new favorite store with the best deals around town. 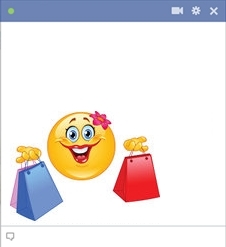 Invite your pals for a day at the mall with this shop-savvy smiley. They’ll be inspired to drop everything and hit the stores too!